Rational Emotive Behavioral Therapy or REBT is a psychotherapeutic treatment designed to help people with problems concerning their mental health. Mental health issues that are caused by irrational and dysfunctional thinking patterns is one of the many focused programs of experts dealing with Rational Emotive Behavioral Therapy. REBT is known for its particular techniques that center on the acceptance of these irrational thinking and behavioral problems. It is conducted with the help of a trained specialist with various qualifications from college to post-graduate degrees. 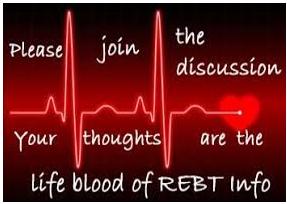 The role of the REBT expert is to induce positive changes in the individual. Not everyone can be an REBT counselor. Specialized training and certified examinations will determine before one becomes eligible for the said job. Also, an REBT therapist must first undergo some phases. These phases will equip and put the individual in a ready state before he gets into the real world of REBT therapy. Have a degree related to the said career. If the person has a Doctorate in Psychology, the internship certificate will do. Must have completed training in psychotherapy and counseling or have an internship in an institution that has to do with mental health counseling practice. Membership in an associated professional organization is a must. If you are a graduate of a related degree, or if the person has completed an internship program, it will lead an aspiring REBT specialist to a pre-doctorate level. After that, they can apply for a clinical fellowship. It is in this clinical fellowship level wherein an individual will undergo specialized training of the chosen career. Clinical fellowship usually lasts for a maximum of two years. Such training will then lead to earning certification for the practice of the REBT profession. Once an individual has obtained his REBT professional eligibility, he can now practice the said therapy program. He can have his private clinic, or connect with a mental health institution. A therapist can also belong in a group that specializes in the profession or become a supervisor in a training institute. Despite the differences in work settings, the professional aims to be of service to people who are depressed, stressed out, anxious, and other mental health disorders. REBT specialist has a very different role compared to that of the traditional psychotherapy therapist. 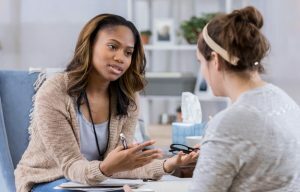 Rational Emotive Behavioral Therapy is more solution-focused, compared to other therapy programs, and its time span is significantly shorter regarding treatment. The primary objective of this program is to help people overcome their mental health problems by way of positive thinking to change their outlook. These therapists help people in analyzing situations and sort out dysfunctional thinking patterns that can lead to self-destruction. At first, such task can be difficult despite all the therapy and counseling training. But with the guidance of colleagues and fellow REBT therapists, one can sort out these issues and overcome professional hurdles. Eventually, a newbie therapist can adjust to the nature of his job. Becoming an REBT counselor may be hard, but it can guarantee that fulfillment of helping others letting go of their hardships. Assisting others to surpass their “mind” problems, especially when the issue has to do with the well-being of the person, can be very gratifying.